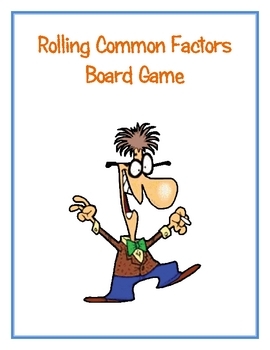 Have students practice finding common factors while they play Rolling Common Factors! 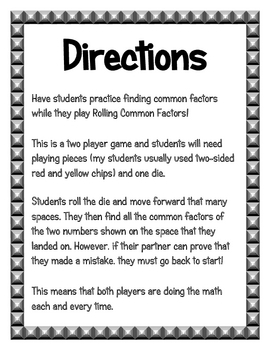 This is a two player game and students will need playing pieces (my students usually used two-sided red and yellow chips) and one die. 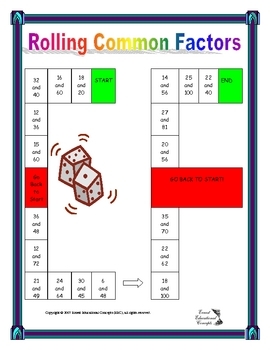 Students roll the die and move forward that many spaces. They then find the all the common factors of the two numbers shown on the space that they landed on. However, if their partner can prove that they made a mistake, they must go back to start! This means that both players are doing the math each and every time. One player is trying to move on the board and the other one is trying to send their partner back to start!